Campers score big thanks to Jeff Lake Day Camp’s long tradition of excellent sports instruction for all levels of athletes! With facilities scaled to camper size and skill level, our athletic curriculum aims for success at all ages. A few favorites include six sets of basketball hoops of varying heights and our Quick Start tennis program, which helps even the youngest camper begin to develop an appreciation for the sport! 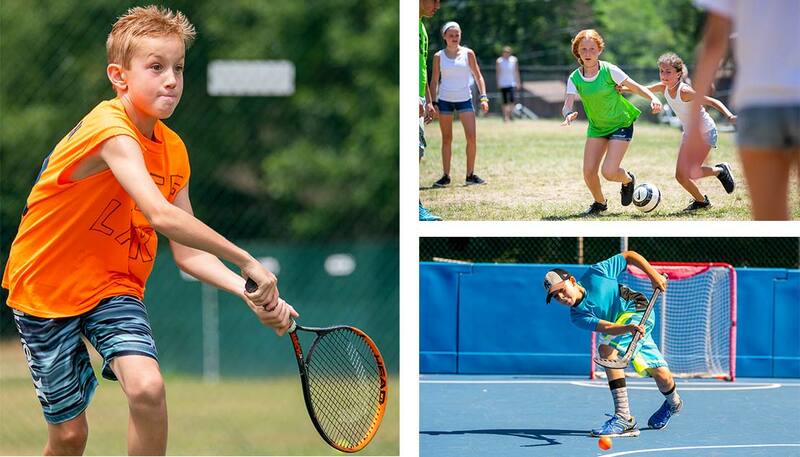 Our summer day camp is equipped to instill a love of the game in every camper — no matter the game! We are proud to partner with SPORTS UNIVERSE during the summer as coaches for our Pre-K through 1st grade sports instruction. Our sports program emphasizes good sportsmanship, teamwork and always giving your best effort. Our coaches will work with your child to build their confidence so that they learn to love sports and take that enthusiasm home with them at the end of the summer!